For some reason, my Napalm Death hoodie continues to be a source of conversation between me and the staff at my local Costco. Costco Staff Member, checking my receipt: "What does that say?...I can read 'Death'... 'Megadeath?'" 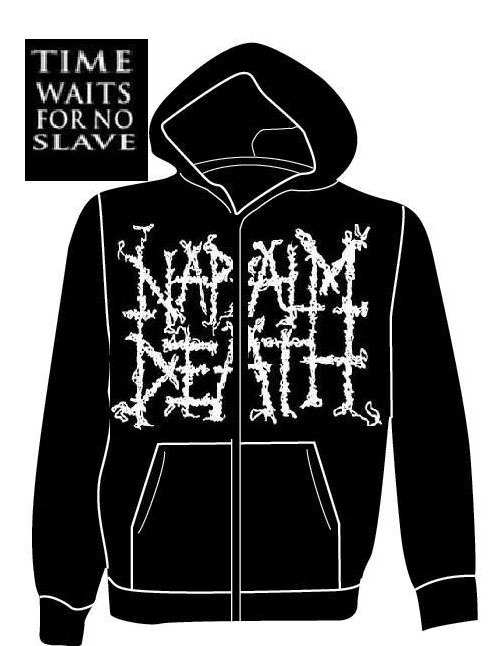 Me, pushing cart: "Actually, it's NAPALM Death." Costco Staff Member, squinting: "Napalm Death? ...now how many people actually get that?" Me: "Well...probably 1 in 10." CSM: "1 in 10? Now I got the second word, how many people get that?" Me: "Well, THAT's the easy part..."